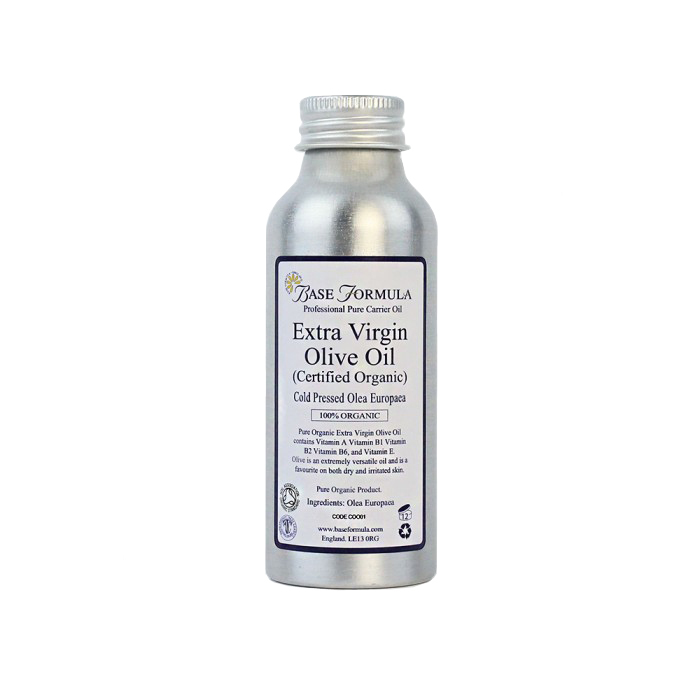 Cold Pressed Organic Extra Virgin Olive is the ideal carrier oil for severely dehydrated skin and general massage. Our organic, cold pressed Extra Virgin Olive Oil is rich in essential fatty acids, Vitamins A, B1, B2, B6, C, and E, as well as polyphenols, phytosterols and avenasterol which help to neutralise free radicals and repair cell membranes. It is also a rich source of squalene – a natural substance that is produced by humans, animals and plants. Squalene is a popular ingredient within cosmetics as it has excellent moisturising properties and can help regulate the production of sebum. Olive Oil also contains chlorophyll which assists in the healing of problem skin conditions and reduces the visible signs of ageing. Extra Virgin Olive Oil is the preferred grade for moisturising the skin and is also commonly recommended for the Oil Cleansing Method. It ideal for nourishing severely dehydrated skin and makes an excellent anti-inflammatory addition to blends for dermatitis, sprains, bruises and even insect bites and stings. It is also a nourishing and gentle base oil for baby massage and for soothing nappy rash.